Thankfully not. Furthermore, calmness is settling in now as every retailer and brand turns their focus towards selling, which means I get to enjoy this holiday season for what seems like the first time in forever. 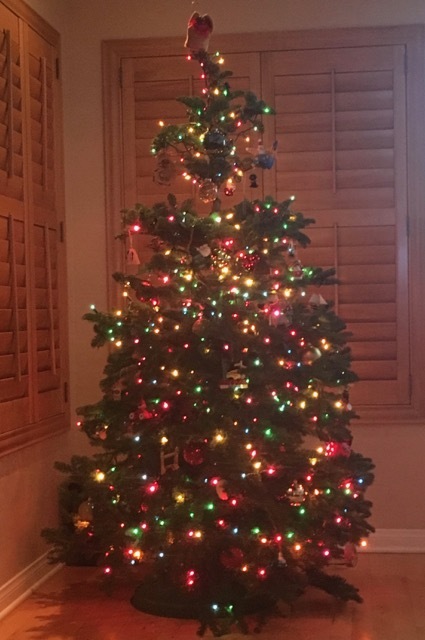 We’ve just finishing trimming the tree in our new house in San Diego, and it feels good to sit back with a glass of wine and just be still for a moment. That is the promise of this brave new world we live in, right? We’ve been talking about how new technology will free us up to spend more quality time with our loved ones since Kurt Vonnegut published player piano back in 1952 (though thankfully the future that has emerged is far less dystopian than Vonnegut imagined). Many of my friends, family, and even most acquaintances will tell you that I exist in a near constant state of motion, taking to heart the old adage that people are rewarded not for talent but for hard work and perseverance. We have a tradition among our friends that we get together on New Years Eve and recap the major life events of each of our past twelve months. I’m not done with my slideshow yet, but one thing is for sure: it’s been a busy year. Between trips all over Asia and the United States for work and travel to Europe to visit our extended family, it turns out I’ve been on the road just a touch over half of the year. I hope that as many of you as possible are able to spend time with your loved ones this year. We’re closing our offices between Christmas and the New Year so that our employees can take a well deserved break; personally I’m looking forward to some much needed rest and relaxation. Love you all, thank you for reading, and see you next year.